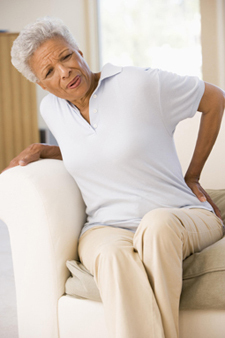 According to the Centers for Disease Control, arthritis is the leading cause of disability in the U.S. In fact, an estimated 46 million people (1 in 5 adults) report being doctor-diagnosed with arthritis, and nearly 19 million report activity limitations as a result of the disease. The ProFitness Arthritis Care Program is proud to deliver essential help for thousands of New Yorkers who are battling this chronic condition. Your program may include stretching and strengthening exercises, as well as massage and other therapeutic modalities to relieve pain and inflammation. And it’s all delivered by your dedicated physical therapist in a highly motivating and supportive environment. At ProFitness, we are committed to giving 100% of our expertise and effort to every patient at all times. This means that your dedicated physical therapist works one-on-one with you through every minute of every rehab session – providing expert assessment and guidance, and constant encouragement and support. For more information on arthritis, download this brochure. For more information on osteoporosis, download this brochure.